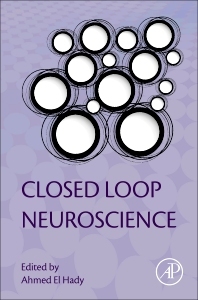 Closed Loop Neuroscience addresses the technical aspects of closed loop neurophysiology, presenting the implementation of these approaches spanning several domains of neuroscience, from cellular and network neurophysiology, through sensory and motor systems, and then clinical therapeutic devices. Although closed-loop approaches have long been a part of the neuroscientific toolbox, these techniques are only now gaining popularity in research and clinical applications. As there is not yet a comprehensive methods book addressing the topic as a whole, this volume fills that gap, presenting state-of-the-art approaches and the technical advancements that enable their application to different scientific problems in neuroscience. Ahmed El Hady is currently a Howard Hughes Medical Institute postdoctoral research associate at the Princeton neuroscience Institute where he is studying the neural substrates of decision making. Before moving to Princeton, he held a postdoctoral position at the Max Planck Institute for Biophysical chemistry in the Nanobiophotonics department where he investigated the nanoscale structure of the neuronal cytoskeleton. His PhD work spanned the interface of theoretical and experimental neuroscience in a collaborative project between the Max Planck Institute for Dynamics and Self Organization, the Max Planck Institute for experimental medicine and the Max Planck Institute for Biophysics during which he used optogenetic neurostimulation and microarray technology to study neuronal network dynamics. Ahmed holds a bachelor degree in pharmaceutical sciences from Cairo University and has attended the International Max Planck Research School of Neurosciences in Goettingen. Beside his outstanding academic achievements, Ahmed has organized the first Arab-Israeli-German computational and systems neuroscience meeting that took place in Goettingen during July 2014.